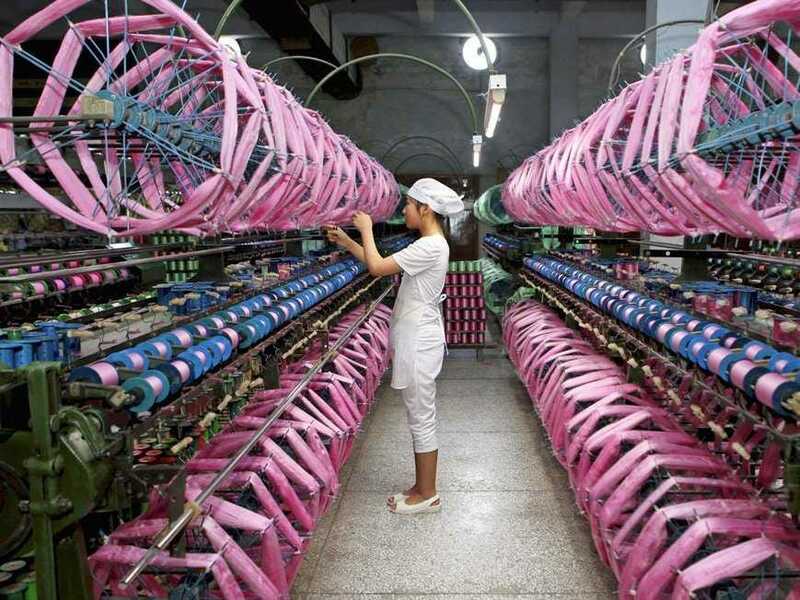 REUTERSA woman works in a Chinese textile factory. Good morning! Here are 10 major stories you need to hear about before US markets open. Stocks Fall Into The Red. Markets are sliding after a wave of disappointing manufacturing PMI reports from around the world. Dow futures are down 63 points, and S&P futures are down 9 points. In Europe, Britain’s FTSE is down 0.6%, France’s CAC 40 is down 1.1%, Germany’s DAX is down 0.7%, and Spain’s IBEX is down 1.9%. In Asia, Japan’s Nikkei and Hong Kong’s Hang Seng closed flat. Chinese Factory Activity Growth Goes Nowhere. The Flash China Manufacturing PMI fell to a six-month low of 50.0 in November, from 50.4 a month ago. “We think growth still faces significant downward pressures, and more monetary and fiscal easing measures should be deployed,” HSBC’s Hongbin Qu said. German Growth Flatlines. Germany’s Flash Manufacturing PMI missed expectations and tumbled to a 16-month low of 50.0 from 51.4 a month ago. “The combination of weak output growth, ongoing spare capacity, and a lack of new order wins (despite a further reduction in charges) paints a worrying picture of the underlying health of the German economy,” Markit’s Oliver Kolodseike said. Japan Decelerates More Than Expected. Japan’s Flash Manufacturing PMI fell to 52.1 from 52.4 in October. “The postponement of the further increase in sales tax to 10% could provide some support for Japanese goods producers, although the outlook is unusually uncertain,” Markit’s Amy Brownbill said. Best Buy Beats. The electronics retailer reported Q3 earnings of $US0.32 per share, which was better than the $US0.25 expected by analysts. Comparable store sales climbed 2.2%. Alibaba Will Sell Its First Bonds. The e-commerce giant will sell its first-ever bond on Thursday, a jumbo trade expected to be about $US8 billion in size that comes just two months after the company’s record IPO. The US Senate Blasted Banks Over Their Commodities Trading. Goldman Sachs will rebut on Thursday allegations made by a powerful Senate committee report that condemned Wall Street banks for exploiting physical commodity markets to manipulate prices and gain unfair trading advantages. Stand By For Inflation Data. At 8:30 a.m. ET, we’ll get the consumer price index report. Economists estimate CPI fell 0.1% in October but climbed 0.1%, excluding food and energy. On a year-over-year basis, prices are forecast to climb 1.6% and 1.7%, respectively.